What are Nendoroids and Why Collect Them? Nendoroids are a really popular line of figures, but because they are imported from Japan, there are many people who still do not know about them. The goal of this article will be to explain what Nendoroids are, provide the basic information new collectors need to know and to explain the appeal of these figures. Nendoroids are made by Good Smile Company and while more major retailers like Amazon carry them than ever before, Nendoroids are more commonly sold by stores that specialize in Manga/Anime/and other products from Japan. Nendoroids are relatively small figures and have oversized heads and are not to scale. They also fall somewhere between an action figure and a statue in the sense that, while Nendoroids have articulation and a good amount of pose-ability, they do not have the flexibility that most action figures do. Instead, Nendoroids are made with the idea of displaying them in mind and in my opinion, they easily have some of the best accessories you can get for a figure. Of course, Nendoroids also have an obvious charm and cuteness because of their Chibi-style too. Good Smile has made over 500 different Nendoroids and they actually cover a lot of different licenses/properties. Many Nendoroids are based on Anime/Manga series, but more recently, Good Smile has been making superhero Nendoroids like Batman, Iron Man, and even Darth Vader. The same attention seems to be placed on video game characters with several Metal Gear Solid figures already released. Generally, Nendoroids cost between $40-50 and have high quality plastic and paint jobs. Some people may balk at the price, but Nendoroids offer a higher quality product than some of the other Nintendo figures out there including Amiibo, World of Nintendo action figures, and the Bandai series which justifies their price in my opinion. Not only do the Nendoroids come with a ton of great accessories, but they have great versatility. For example, there are already two Isabelle Nendoroids which may seem excessive until you see how Good Smile has designed them so they can use the same parts and you can really customize how you want the character to look. With Mario, Luigi, Link, Kirby, Mega Man, Isabelle, a couple Pokemon characters, and Marth all released or on their way. 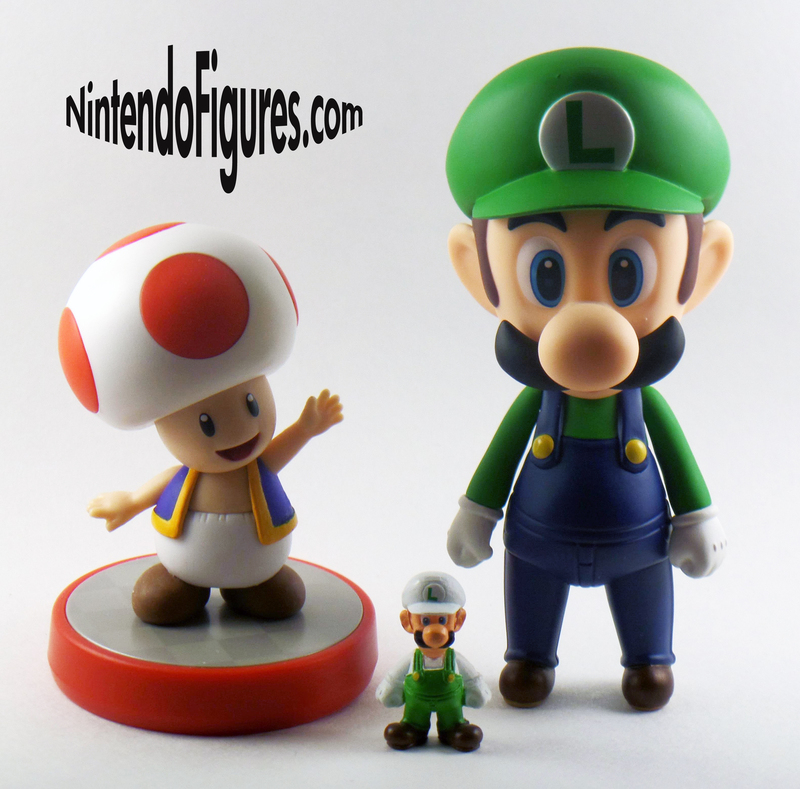 It is a great time for Nintendo fans to start collecting Nendoroids too. The other side of Nendoroids to keep in mind is that they are popular enough that counterfeit figures are made in China and sold on places like Ebay. If you can compare a real Nendoroid box or figure to the counterfeit, it is clear that the quality is inferior. The fakes often are missing the proper stickers like the Nintendo Seal of Approval or have slight discoloration compared a real Nendoroid. Be especially cautious with any Nendoroid that is priced cheaper than $30 brand new. They are almost definitely a fake. Amazon has a good selection of Nendoroids and some of the major online toy stores also sell them, though not necessarily at a great price. If you don’t mind buying and waiting for it to ship from Japan, http://www.amiami.com and otakumode.com are both great stores that I’ve heard only good things about. While it is nothing like Amiibos used to be, Nendoroids tend to have somewhat limited runs and once they sell out, it seems like the price immediately goes up online because of scalping and a relatively stable amount of demand. Fortunately, the Nintendo Nendoroids seem to get fairly big print runs and are reprinted more than other Nendoroids. While I have seen some Nendoroids skyrocket in value once they sell out, I believe Nintendo Nendoroids will not only retain their value, but also will have a steady increase over time, especially once the figures are no longer reprinted. Demand for Nintendo stuff is high and Nendoroids offer something that nobody else has. Many of the popular Nendoroids do get multiple production runs so if you see a character that you want and is already overpriced, give it some time and see if Good Smile re-releases them. The biggest advantages and why you may want to consider picking one up (or collecting many of them) is not only the accessories, but how Nendoroids are completely focused on displays. Many of the figures build off of each other or their parts can be exchanged in funny or cool ways. 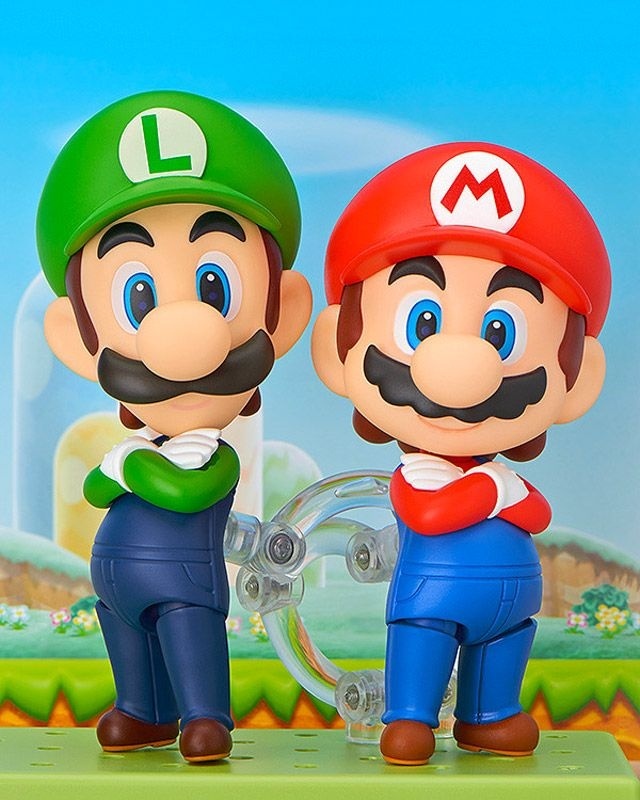 For example, Luigi was the first or one of the first Nintendo Nendoroids and Good Smile released Mario which not only has the same base so you can put them together, but Mario comes with crossed arm parts for both him and Luigi so that they can both show off a victory pose. Not to mention the fact that all of the enemies and many of the accessories are interchangeable since they come from the same game. Nendoroids don’t offer as many options as Micro Land or even the Bandai figures, but the quality is higher and the range of potential figures in the future is much higher too since we already know characters like Kirby and Link can be displayed next to Mario and Luigi. I have reviewed several Nendoroids on the site and there will be a number of display articles I will be writing in the future as well. 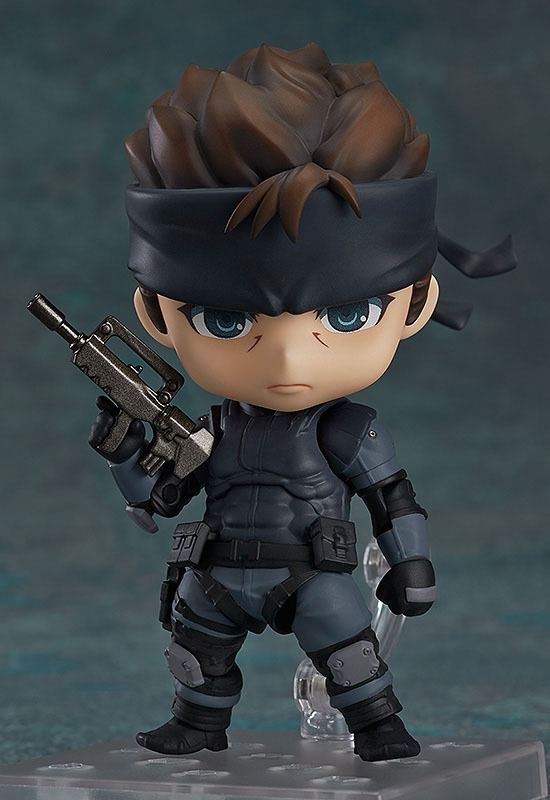 If you like to display your figures or want something you can enjoy setting up or messing around with, Nendoroids certainly offer that and I hope whether you decide to collect them or not, you enjoy the coverage of Nendoroids here at Nintendofigures. Previous Can You Actually Recreate Real Mario Levels in Micro Land?